This gorgeous photo was taken by my friend Liv courtesy of her month long sojourn in Seoul. 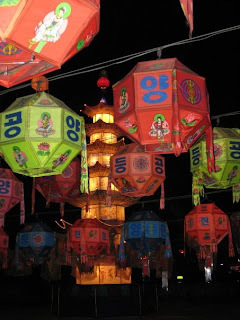 In celebration of Buddha's birthday, Seoul is lit up with paper lanterns that hang from wires running streetside. They are beautiful and simple and totally intoxicating.